Nothing can be done to erase the trauma of children who saw their mother buried. 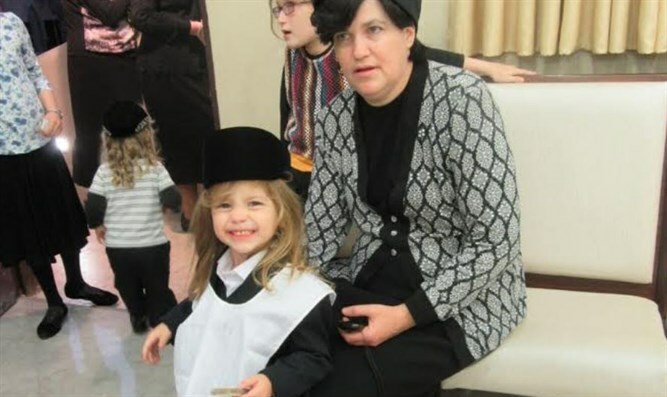 Stifled sobs filled the cemetery last month as 5-year-old Moshe Yehoshua recited kaddish for his mother. His six siblings stood beside him, overcome with emotion. The children held onto each other for support. Their clothing was torn. Their young faces wrought with pain. Just two months before Chava Strauss passed away, they had been a normal family. However after just one month of not feeling well, a cancer diagnosis changed their lives forever. For one chaotic, horrific month, Chava fought in the hospital for her life. Her husband, Yaakov Meir, teaches in a boys’ school. He poured every cent they had into her treatments, praying they would save her life. She didn’t make it. And by the time she was gone, they had nothing left. Now the 7 Strauss children and their father are destitute. The teenage girls help their father run the house. Each day has a seemingly endless list of tasks meant to be done by a mother: Cooking, cleaning, dressing the children. All duties of a responsible adult. In this house, however, they are done by children. Tatty works all the hours he can get to make sure food gets on the table. Rent goes unpaid. Stained clothes go unreplaced. Funds are being collected now to help the Strauss family recover from their crippling medical debt, and to afford the necessities. Nothing can be done to erase the trauma of children who saw their mother buried. Much can be done, however, to ease the hunger in their little stomachs, the cold of going coatless, the loneliness of not affording school tuition.